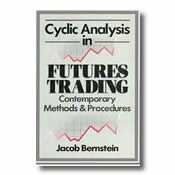 An in-depth analytical look at price cycles and repetitive patterns in today’s futures market. New and promising tools for determining when prices have established cyclic lows and highs. A status report on the dominant repetitive patterns in futures and cash market data.